Often we look at the mundane tasks we are faced with on a daily basis, only on the surface, missing the rare opportunity to gain life lessons from them. Just a small shift in perspective can make all the difference. The fax machine’s life is one such that we can learn from and even take its example and apply it to our personal lives and careers. This machine has managed to stay current and relevant for many years and it’s still going. Even though there are other forms of technology that enable us to communicate with each other, the fax machine has survived and is still a channel of communication widely used by many people today. From The resilience of this machine, to its longevity and ability to adapt and reinvent itself to stay relevant and useful. This small piece of office equipment has what it takes to be your inspiration even if it is just for one day. 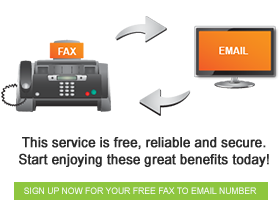 Grow and Evolve just like this machine has managed to do with fax-to-email technology, which was a brilliant merger of the trusted and secure medium of faxing with email, the current technology of choice. So too should you do in your own life. In today’s economic climate and highly competitive job market one must do whatever it takes to make sure that they stay relevant; attend refresher courses, stay updated and make sure you adapt so that you are not sidetracked and completely phased out.